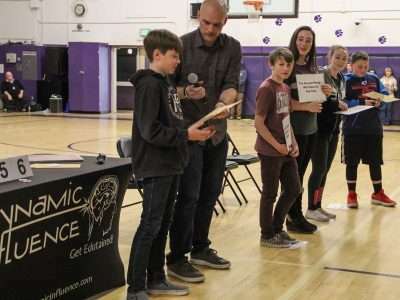 Plumas County schools, health officials and concerned parents and citizens are working to get the word out that trendy nicotine vaporizing has nothing to do with puffing on harmless water vapor and everything to do with exposure to highly addictive chemicals, known carcinogens and heavy metals that pose serious health risks. Think nickel, benzene, cadmium and formaldehyde for starters. They’re most worried because the region is experiencing a surge in incidents of underage students vaping — using electronic cigarettes — as a way to relax, cope with stress and be part of the in, cool crowd at junior-senior high schools. One elementary school recently caught students using vape pens with nicotine cartridges and nobody is taking it lightly. The parent said they’d heard kids estimate as many as three-quarters of the kids they know have at least tried vaping or are actively doing it. “It’s instant gratification or they need it to focus,” the parent explained, saying it’s not just the flavorings like cotton candy; it’s absolutely the way it (the nicotine) makes them feel. 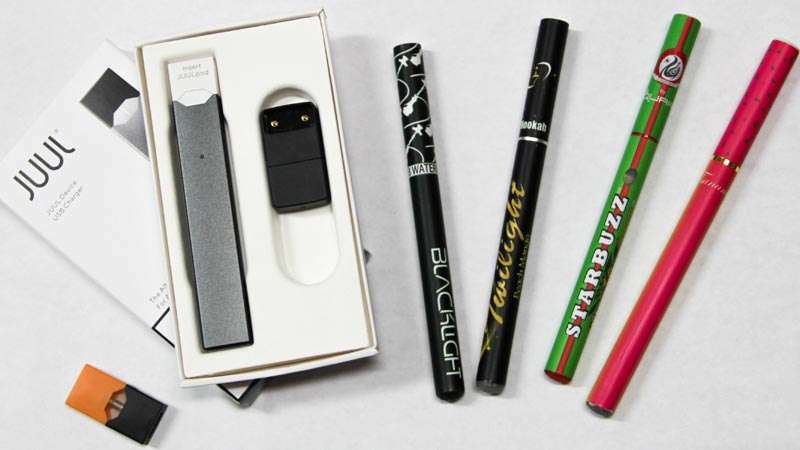 It’s illegal in California for anyone under 21 to purchase, possess or use tobacco-related products, including electronic nicotine delivery systems (ENDS) that are marketed as vaporizers or vapes for short. Vapes are sophisticated devices that contain metal-heating technology to combine minute amounts of water with oil containing nicotine and a host of other chemical substances into an aerosol vapor that is puffed or inhaled. Vapes were introduced in the early 2000s as a tool that adults could use to help them kick cigarette smoking and still get a nicotine fix, but the FDA has never approved them as a smoking-cessation device. Government statistics don’t show measurable success rates of quitting smoking by using them. One vape cartridge typically contains as much nicotine as a pack of 20 cigarettes and puffing on an ENDS pen or pipe can easily exhaust a cartridge or more per day. Within the last few years, things changed, big time. Flavorings were added to vaping liquids — kid-friendly flavors like chocolate, vanilla, jelly doughnuts, candy, fruit or spices and a whole lot more. Techniques to market vapes to appeal to younger users also took off. The rising rate of vape usage by middle and high school students in America — estimated to have shot up by 900 percent from 2011 to 2015, reaching over 3.6 million youth by 2018 — is reflective of what U.S. Surgeon General Jerome Adams is calling a national epidemic. Bruce Mulligan, Plumas County Office of Education (PCOE) prevention coordinator, couldn’t agree more. 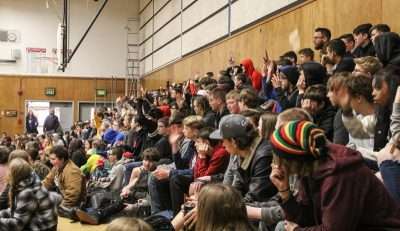 “Big Tobacco owns the companies that manufacture vapes and they want you to think it’s just harmless water vapor,” Mulligan tells his audiences of parents, administrators and teachers who come to sessions to learn about Plumas County’s efforts to fight the regional tide of vape use by underage students. “They are anything but harmless,” Mulligan advises. A retired member of the California Highway Patrol, he has years of experience working with schools. He can list the 42 chemicals, organic compounds and heavy metals identified in electronic cigarettes that are common to regular tobacco cigarettes. There are many more in regular smokes. Mulligan noted those particulates are also exhaled to some degree in the vapor and land on furniture, clothing, the carpets, you name it. Like secondhand smoke, people are being exposed to the sidestream vapors and those constituents. Schools are seeing students come in with headaches, nausea and nosebleeds from inhaling so much nicotine vapor. Vape devices come in a bewildering array of sizes, styles and shapes and most can accept refillable cartridges making it easy to take in abundant quantities of nicotine. Some estimates place the cost of a typical vape habit at roughly $1,400 a year for adults. Mulligan is coordinating presentations with teachers, administrators, families and students to get the word out. “This vaping thing is changing fast,” he says. His PowerPoint has to be updated at least once a day for new presentations. Mulligan shows the teachers slide after slide of “Vaprwear” clothing and products that conceal vaping devices. Juul flash-drive lookalikes are just one example. Particularly shocking to Mulligan’s audiences are the sippy Vapor Cups and soda cans with fake straws, decoy inhalers that look just like those used to treat asthma attacks, knock-off Sharpie pens with vaping hardware inside, pretend ice cream cups, lollipop vape pens, faux juice boxes and tubes made to look like hoodie cords that can be threaded through a sweatshirt and sucked on to get nicotine-laced aerosol vapors. Wearing protective gloves, Mulligan shows his audiences confiscated vapes taken from local students, all placed in sealed baggies, and explains how prone the devices are to leaking. They can also explode.Leaked nicotine oil can be absorbed through the skin and cause a host of illnesses, Mulligan said, not the least of which are the same symptoms kids get from doing too much vape. In children under 5, he explained, parents should know that even touching a small amount of nicotine oil from a pen or pod may be fatal. Retired former Plumas County District Attorney James Reichle of Greenville worries, too. 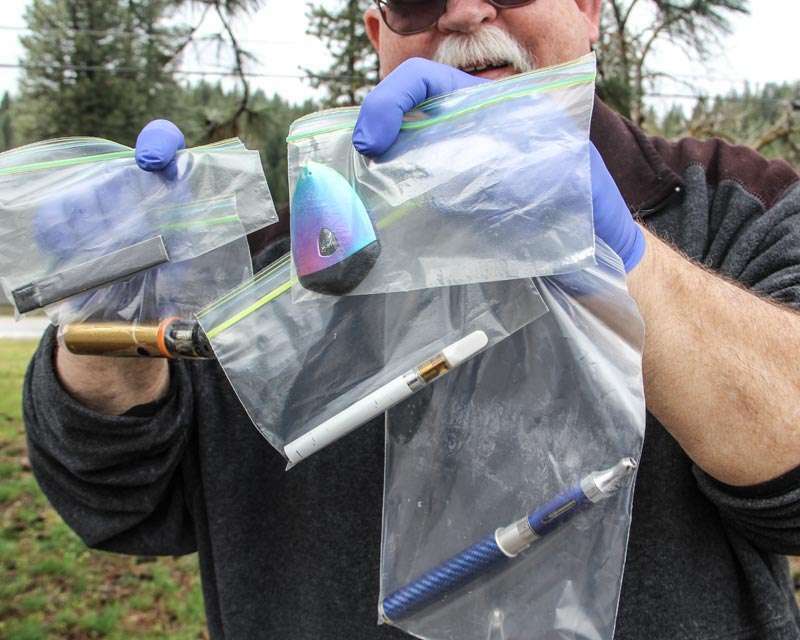 “In Modoc County, they’re already finding kids experimenting with mixing meth and marijuana into their nicotine oil,” the attorney said. Mulligan and Reichle both worry that use of vapes, habitually or even occasionally, may lead students to take up smoking later or experiment with other substances. Some studies suggest the same, but everyone agrees more science and good studies are sorely needed to combat the perception that vaping is a relatively innocent recreational pastime. In the meantime, Reichle spelled out steps being taken in other counties and states to address vaping issues. This year, the California State Senate introduced SB 38 (recommended for approval but referred back to the Appropriations Committee on March 27) to ban flavored tobacco and nicotine products throughout the state. Seven counties and 24 cities in California have already done so locally. Hawaii is considering a similar law. Reichle worries about what he calls the tributaries feeding the epidemic: retailers, internet sales and older youth or adults who provide vaping tools and products to kids under 21. Chester Junior-Senior High Principal Terry Hernandez agreed vaping is a huge concern because kids think since it tastes good and smells good, it’s not harmful. Plumas County teachers are building core lessons and class projects around vaping awareness. Principals are hosting parent meetings. PCOE’s Mulligan has been bringing skilled presenters to address students at all the area elementary and junior-senior high schools. 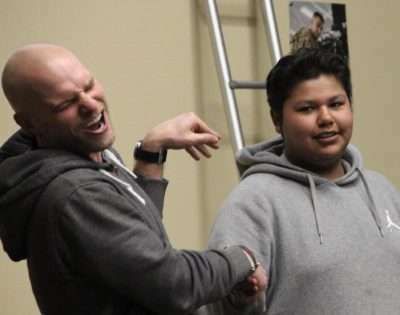 With interactive, engaging and entertaining assemblies, popular speakers Steve Arrington and Rob Hackenson Jr. have made students laugh, applaud and really pay attention to talks about the realities of addiction and vape marketing techniques designed to lure them into social compliance. The Plumas County Public Health Agency (PCPHA) is on top of the vaping issue, too. For some time, PCPHA has run anti-tobacco campaigns under a federal program to involve dozens of students from local schools to conduct peer-to-peer tobacco use reduction education programs for elementary through junior and senior high school. Shadi Barfjani, M.D. is PCPHA’s new Chief of Programs Division. Dr. Barfjani has a masters of science, an extensive background in public health and is a general practitioner who regularly makes presentations about vaping being represented as a safer option for adults who want to quit smoking cigarettes. She also said that some of the chemicals in ENDS devices, like diacetyl for flavoring, are considered safe to ingest (in food, etc. ), but when inhaled create incurable inflammation damage in the lungs that doctors at the Harvard School of Public Health call popcorn lung. Just one other component of the flavorings is formaldehyde and “with repeated exposure to that, we have increased risk of DNA damage, mutation and harm to the reproductive system,” the doctor explained. Visiting a local high school with PCOE’s Mulligan last week for one of Rob Hackenson’s compelling assemblies about influence pedaling to students to vape and the importance of making positive life-affirming choices, one parent made this observation. Principal Sara Sheridan of Portola Junior-Senior High commented on the value of making the effort to reach kids on their own level. 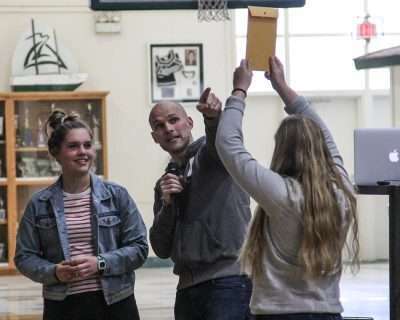 Greenville Junior-Senior High Principal Traci Cockerill agreed, taking a seat at her school’s assembly. Interviewed after all four of the energetic assemblies had concluded in Chester, Greenville, Portola and Quincy, students offered these thoughtful assessments. Some said the flavors definitely attract kids to start and keep using vapes. Another student thought for a moment about what it will take to draw kids away from the allure of flavored tobacco products and nicotine oils in vapes in particular. Chester High Principal Hernandez remarked that presentations to students are critical because they offer a window to reach young people before they try vaping. Source: German Cancer Research Center, Group to Alleviate Smoking Pollution (GASP) of Colorado, USEPA and USFDA. It’s against the penal code to provide any tobacco or related products to a person under 21 in California. In 1998, the Tobacco Master Settlement Agreement was settled with 46 states that sued the industry over their related Medicaid healthcare costs. The companies agreed to curtail or cease certain tobacco marketing practices. Vaping products, manufactured by many companies virtually all of which are owned by Big Tobacco such as Philip Morris International, Reynolds American, British American Tobacco and others, are not regulated to the degree that cigarettes are. They have more leeway in their marketing strategies and use social media extensively to promote vaping as a cool lifestyle choice. Solutions to the youth vaping crisis are being discussed throughout the region, statewide and nationally. Locally, former Plumas County District Attorney James Reichle has developed a proposal that he hopes the community will support and work to implement. – Ban flavored tobacco and vaping products in Plumas County. – Educate parents, the public, and institutional representatives including medical professionals about the reality and consequences of the underage vaping epidemic. Identify available resources. – Encourage parents to monitor and limit Internet purchasing access to these products by underage users. – Coordinate with law enforcement and schools to identify and engage those illegally providing flavored tobacco and electronic nicotine delivery system devices to underage users.